The Rose Ensemble presents Welcome the Stranger: The Promise of St. Benedict and St. Scholastica. The Indianapolis concert is part of the venerable ensemble’s farewell tour. Over five centuries of music exploring St. Benedict’s Rule of unconditional hospitality is featured in this original program, researched and created by Artistic Director Jordan Sramek. Virtuosic compositions by Benedictine nuns are intermingled with medieval plainchant and Renaissance motets of the Cassinese monks of Saint Simpliciano. In a celebration of women’s musical contributions throughout history, the concert highlights music by Lucrezia Orsina Vizzana (1590-1662), Caterina Assandra (1590-1618), and Chiara Margarita Cozzolani (1602-1678). 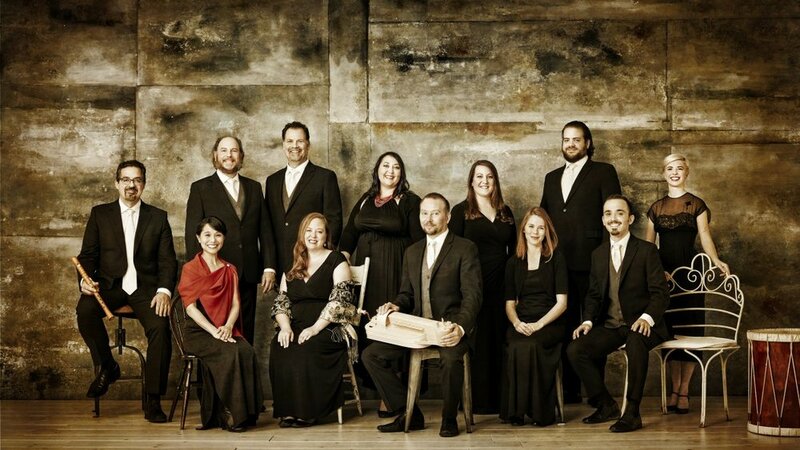 Uniting virtuosic vocal artistry with scholarly research, The Rose Ensemble creates musical performances and educational programs that connect audiences to compelling stories of human history, culture, and spirituality from around the world. We are thrilled to again present this fantastic ensemble on, sadly, their farewell tour.